Today marks the launch of the third Bruntwood Playwriting Competition – the UK’s biggest (and most lucrative) award for playwrights. It doesn’t matter where you come from in the UK, whether you’ve never written before (or you’ve written a hundred plays), or what you want to write about. You’ve got until 3rd June 2011 to submit a play to Manchester’s Royal Exchange Theatre, who organise the competition. One first-prize winner will win £16,000 and the offer of a year’s attachment at the Royal Exchange; three runners-up will be awarded £8,000 each. 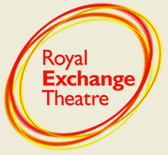 Some of the plays will also receive full, professional productions at the Royal Exchange. In addition, four of the previous competition winners whose plays have gone on to premiere there have been published by Nick Hern Books – and we are delighted to be offering the same again for this year’s winners. For the rest of this week, each of the four playwrights published by NHB will be talking about the prize and the effect it had on their careers. First up tomorrow, the winner of the first competition in 2007, Ben Musgrave, for his play Pretend You Have Big Buildings. So make sure to check back tomorrow to read his post!